This story begins with me ironing my socks. And no, you haven’t misread that. This is a full and honest declaration that I, Elliot, make a weekly habit of putting iron to cotton and providing myself with socks that are flatter than pancakes. Perhaps the only thing you’ll find more shocking than this is the fact that I feel no shame or embarrassment about it whatsoever. In fact I take a pride in it. And while I’d never try to tell you what to do with your own socks, I can only encourage you, dear reader, to try it sometime. Your feet will never feel the same again. After reading this I’m sure you won’t be all that surprised to hear that this isn’t the only peculiar habit that I have. For one, I always reverse park my car; no matter where I am or what the circumstances are you will never ever see me pulling forwards into a parking spot. I just won’t do it. I’ve also saved the ticket stubs for every movie, concert, and theatrical performance I’ve ever been to, and I also plan to put these into a collection of scrapbooks which I’ll no doubt put up on a shelf and probably never look at again. Admittedly, this can all become a little overwhelming sometimes, like when I find myself driving to the cinema and then thinking about ironing my socks while reversing into a parking spot. It can be an all-consuming thing. On one such evening I was sat in my car waiting for my friends to arrive and I found myself looking for a new book on Amazon. Amongst the usual collection of New York Times bestsellers and self-help books that try to tell me that I’m perfect just the way I am, there was one book that stood out above all others. On the front cover was a middle-aged man with a camera taking a photograph of a roundabout. Yes that’s right, a roundabout; as in those circular things that cars drive around. It didn’t appear to be a special roundabout and I didn’t really understand why anybody would want to take a picture of it. Above this photograph-of-a-man-taking-a-photograph was the title of the book, written in a large and very uninteresting font. I began to think about my socks again. I looked in my wing mirror and beamed with pride at how straight I’d parked my car between the two white lines; backwards. I sat back and smiled, not just at the thought of there being a club that dull men can belong to, but also with the realization that I was about to get another ticket for the cinema section of my scrapbook. I added the book to my basket and then completed checkout. A club? For dull men? I wonder if they’d be open to new members. See! I wasn’t making it up! It is an actual book and it really does exist. I’d never really stopped to question whether I was a dull man or not. In my eyes I’d just been doing things because I took pleasure from them, but as I stood in my kitchen flicking through the pages of this charming little hardback book, I realized that I had a lot in common with these men. I mean, okay, maybe some people would think it’s a little strange that there are guys out there that collect beer cans, milk bottles, bricks, and traffic cones. Maybe they’d think it’s a little unusual that there’s a man named James that holds the Guiness World Record for having the largest collection of vacuum cleaners in the world (he has over 300), and some might feel it’s bizarre that Andrew of Page 76 has visited all 2,548 railway stations in England, Scotland, AND Wales. But on the other hand there’s me, standing over my freshly ironed socks thinking it’s perfectly normal that there’s a man named Kevin who runs a Roundabout Appreciation Society (founded in 2003). It occurred to me that right from an early age I’ve had a propensity for dullness. It started off with my stamp collection (which I still own), my collection of A Team figures (which I think I still have somewhere), and I also used to have an obsession with the television shows, Neighbours and Home and Away. In my early teens I’d collect any magazine clippings that I could find in Smash Hits and BIG magazine and save them in a folder, split into tabbed sections with one for each character. I took particular pride in my Rebekah Elmaloglou section; I mean come on, Sophie was (and still is) hot! Although I no longer own these files and I no longer watch these shows, my collector’s habits and passions still remain. Didn’t I already mention my collection of ticket stubs and the scrapbook? But what I also understood is that while to some people these things may appear to be, well, dull; to me they’re something that I’ve taken genuine pleasure in doing. And if that’s the case for me, then that must be the case for these men too. If we were to take too much notice of social media we’d come to believe that hobbies and activities can only be considered valid if they result in an adrenaline rush and err on the side of extreme. We see ‘People Are Awesome’ videos on Facebook that show free-runners bounding across rooftops, and we watch footage of Red Bull extremists throwing themselves off the edge of mountains; but while these things may indeed be awesome and extreme, they speak only for a minority. The majority of people I know and have met over the years are into, well, more ordinary (and less celebrated) things. I put the book down and began to make a cup of tea, filling the kettle from the tap and then placing it back onto its holder and pushing the ‘on’ button. As the water began to heat up I stood back against the sink and continued to reflect on these thoughts. 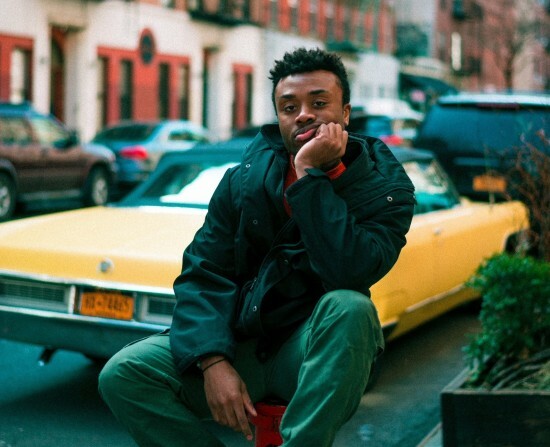 We’re living in a social media age where attention spans are becoming shorter and gratification needs to be instant; we can often find ourselves feeling like we need to stand out, and in some cases this is often achieved through putting forward an image of who we are, rather than putting forward the reality of who we are. How many times have you seen a friend post an image on Instagram that looks like they had a craaaazy weekend, but then when you heard the full story it was actually a photo that only caught 1% of the weekend whereas the remaining ninety-nine percent was actually just, well, normal. While these men of the DMC (Dull Men’s Club) may have a seemingly dull interest on the outside, what drives their passion may actually be something that we could all learn and benefit from. Beyond the ironic humor of the book is a much deeper message, possibly even Buddhist-like in its philosophy. Because while the book’s tagline may be Celebrating the Ordinary, what it’s actually doing is encouraging a more honest sense of living; one that is in tune with our true selves. Modern life and the marketing that goes with it is constantly making us feel like we’re not enough, and our basic human need to fit in and be accepted is forever being manipulated. We become so fearful of all this that we eventually begin to respond to the negative messages by complying, and then slowly but surely we lose sight of who we really are and what we really want. But the Dull Men of Great Britain has a completely different message running through its pages; one that enables us to appreciate the mundane, to celebrate the normal, and to find joy and happiness in the simple pleasures in life. Whereas marketing will always tell us that we’re not enough unless we have this and we have that, the DMC will tell us that we’ve already got everything that we need sitting right inside of us. I took a sip of my very normal English tea and realized that these philosophies are very similar to those that I promote through this website, and an idea began to form in my mind. I looked at my iron, then at my socks, and after taking another sip of tea I picked the book back up and flicked to the inside of the rear cover. Sure enough there was an email address for Leland Carlson, Assistant Vice President of the DMC and the author of The Dull Men of Great Britain. After booting up my laptop I sat down on my sofa and started compiling an email. The idea was now beginning to snowball. 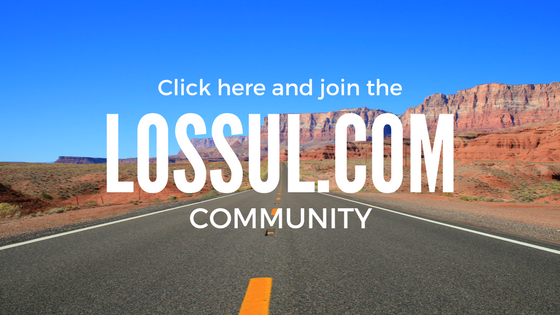 For anybody that’s been a follower of Lossul.com you’ll already be aware that I have a passion for thinking up new ideas for an ongoing set of adventure-based articles that have a recurring theme; I like to call them Concept Adventures. The themes are always in line with what the website is about and will include tales that involve travelling, meeting new people, and stepping out of my comfort zone. A couple of years ago I began The Mission, which sadly only spawned two articles but which saw me travelling to Scotland and Sheffield to spend time with a couple of complete strangers. It always bugged me that this never managed to progress any further and I’d been looking for a new and interesting way to do something similar ever since. I now believed I’d found a way. Long-time readers will also know that two of my biggest influences are Dave Gorman and Danny Wallace; both of which were involved in one of Dave’s best known projects. The project was called Are You Dave Gorman? 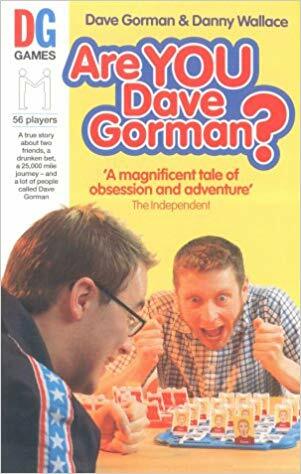 In his book and the accompanying comedy show, Dave travelled the world trying to meet 52 other men who were also called Dave Gorman. Danny had bet Dave that he couldn’t do it, but Dave was convinced that he could. For as bonkers as Dave’s idea was, I always understood the drive that was behind it. Some people, perhaps many, thought that Dave was mad; but I always understood it and loved the idea. The Mission was my first attempt to do something similar, but now I was about to try for a second time. Maybe, just maybe I could find a way to get introduced to these dull men and find out what they believe the key to a happy and fulfilled life is. They’re all within Britain and so it’s more than possible in a logistical sense. I could travel to wherever they live, meet them, shake their hand, and ask them about their chosen field of dullness and why it fires them up so much. It would be a series of dull days out, and in the process, maybe I could uncover a deeper truth and to bring back a message that we can all learn from. I read back over my email to Leland and was proud of every word I’d written, but my finger only hovered over the send button; I just couldn’t press it. I put my laptop down and walked back to the kitchen, thinking about how The Mission had failed and feeling reluctant to start over. Was it really worth going through it all again? My phone pinged as I took another sip of my tea and then I looked at the screen and saw a notification that Rebekah Elmaloglou had just put up a new post on Instagram. I smiled. “Come on Elliot” I said to myself. I put down my mug and charged past the pile of perfectly ironed socks and into the living room. Without any hesitation I plopped down onto the sofa, hit the send button, and then closed the lid of my laptop and smiled. A few days passed by without anything appearing in my inbox and I was beginning to fear the worst. Had Leland been busy and not had chance to check his emails? Had it bypassed his inbox somehow and maybe gotten lost in his spam folder? Or had Leland read my email and thought that I was a complete buffoon and immediately hit delete? I was really beginning to worry that my idea would fall flat on its face before it even got under way. It was a cold and wet Sunday evening and I decided to cheer myself up by reaching for my Cheers box-set. That always does the trick. 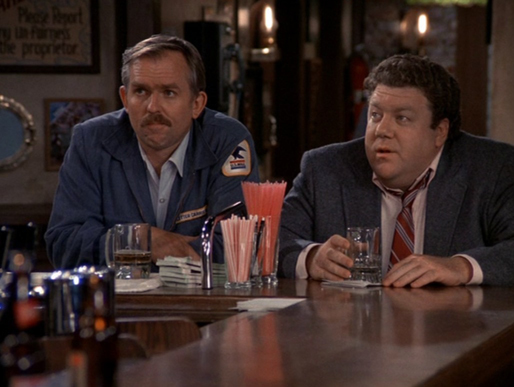 But just as Norm walked into the bar and declared that life was treating him like it had just caught him sleeping with its wife, my phone pinged. I glanced at the screen and my eyes grew wide, because I had a new email from the Assistant Vice President of the Dull Men’s Club! With my fingers and toes crossed I opened up the email and began reading. Leland told me that he really liked the idea and that it sounded like an interesting concept, but that he wasn’t able to provide an introduction to one of the guys from the book. My heart sank. “I don’t believe it.” I said to myself. But then I looked back at my phone and read the rest of the email. By the time I reached the end there was a huge smile spread across my face and I gave my phone a discreet little fist pump. Because what Leland went on to say went beyond all expectations. I wasn’t being given an offer to meet one of the Dull Men of Great Britain, but what I was being given was an opportunity to meet a whole bunch of them. The DMC were to be holding an event up in Preston in the next few weeks and I had an invite to it! I responded with a very enthusiastic ‘yes’ as well as a ‘count me in’ and an ‘I’ll be there’, and then on a sunny Tuesday afternoon in May I found myself on the M6 driving north. I was on my way to a ‘Delightfully Dull, and Brilliantly Boring Evening’ in Preston. Have you ever met any dull people? Or are you in fact a dull person yourself? What dull things do you enjoy indulging in? Do you think the word dull is actually not dull? Do you have any hints and tips about how to be more dull? What are your thoughts on the subject of dullness in general? Or do you have any questions about dullness or ironing socks that you’d like to ask which either myself or the readers could help answer? Please feel free to leave your comments below so we can get a conversation started. Hahah, yeah it’s amazing just how many people are getting this ‘dull person’ thing, because what I think it’s really saying is…we’re all just normal people living normal lives (albeit with a little tinge of eccentricity maybe). And I think it’s good to celebrate that normality, because normality is what makes up most of our daily lives. And why shouldn’t we celebrate just being here? Thank you for reading and I look forward to bringing more DMC articles your way. The next one is already under way. I just don’t understand why people don’t reverse park? It’s so hard to reverse out of a car parking space ‍♂️ am I dull tho? I think I’m not, but my wife would say otherwise. I generally have the same mid morning snack, lunch and 3 o’clock snack everyday of the week in my very large lunch bag with my 2 bottles of water. I drink the first one at 10, 3/4 of the second one at 12:30 and then the last third at 3. Is that dull or just being sensible? Hi Mike, thanks for commenting! Well if that’s being dull then I don’t ever want to be not-dull…there’s nothing wrong with a bit of sensibility. I mean, where would we be if there were no dull/sensible people? There’d be no order and it’d just be chaos…oh, and there’d be forward-facing cars parked everywhere…that thought alone makes me shudder. Oh well, I’ll go relax myself by ironing a few more pairs of socks, and maybe some underpants, just for good measure. Nice article and a refreshing approach to how social media shapes us. What is wrong with being ordinary? I used to iron my socks, now I fold pairs together, they don’t feel the same but I have to weigh up time taken to iron socks vs initial feel when I put them on. It’s an ongoing internal battle. I understand your pain. I really do. But my opinion on this is that it’s worth sacrificing a little time so that you can iron your socks. 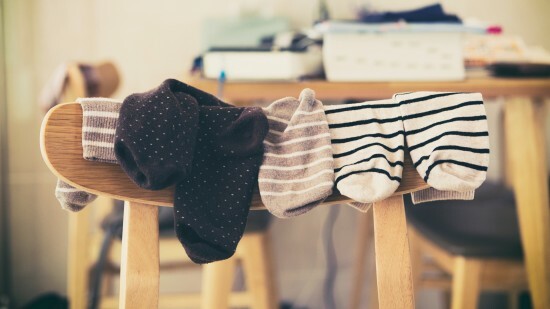 Maybe you could spend less time on household chores such as cleaning the sink, because if I were forced to be choose between the two, I’d rather have lovely feeling socks as opposed to a shiny set of hot and cold taps. Oh no. I just wrote a very long comment, I took so much time to write. But the captcha code didn’t work and deleted it. I’ll be back. I love the idea of “celebrating the ordinary”. It’s something not enough people do today. Now, while I find no pleasure in ironing socks, you find a lot of pleasure doing so. And that is what is important. I have a book I read, “Simple Pleasures,” by Barbara Holland, about the enjoying the simple things in life: naps, conversations, etc. But you’ve taken the idea (as well as the Dull Men) and made the simple pleasures unique to you and personal. In my first try at commenting, I stopped to tell you I nearly sputtered my coffee on my keyboard, after reading your comment below the not impressed guy. Hilarious. I kept scrolling up to read, then stopping to comment… but can’t remember all that I wrote. Sorry! So well thought out and said. Now I’m going to read the second part, in your link! Hi Michele and thank you so much for your comment. I apologise for taking so long to reply. December has kinda been one of ‘those’ months! But I’m so pleased you liked this and that it’s the thing about simple pleasures that spoke out to you. I think it’s so underrated…the pursuit of enjoying simplicity, and it is this very thing that the DMC have taken and made into something really fun, but in an intentionally understated way. If you search on You Tube for the Dull Men’s Club on the UK TV Show, Judge Rinder, you’ll see Leland Carlson and one of the dull men battle it out in a mock court room…you can feel the irony as you watch it. Thank you again for reading and I do hope you return to the site.